As reported by 60 MINUTES this week, Nurse Barbara Mancini was arrested and prosecuted for “assisting a suicide” in Pennsylvania for simply handing her terminally-ill father his morphine. Join us to hear from a noted death with dignity activist and about her family’s yearlong ordeal. 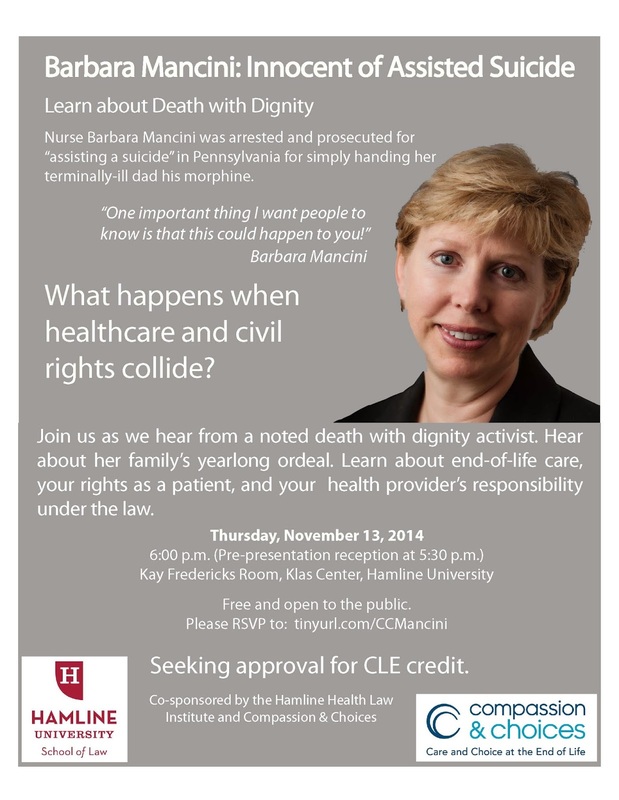 Learn about end-of-life care, your rights as a patient, and your health provider’s responsibility under the law. This event is free and open to the public. But please RSVP here. Please share this information with anyone you think may be interested.